To equip vertical drainage wells, one should as a rule use centrifugal well pumps with submersible motors of ETsV (in Russian ЭЦВ) type. 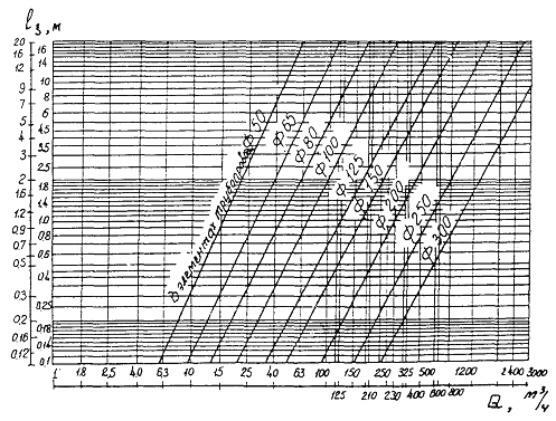 well characteristics that express the relationship between the dynamic drawdown of groundwater level in the well and well output/discharge as well as the values of design dynamic drawdown parameters Sc,d and well output/discharge Q.
required positive/excess head when operating for the closed network of pipes. 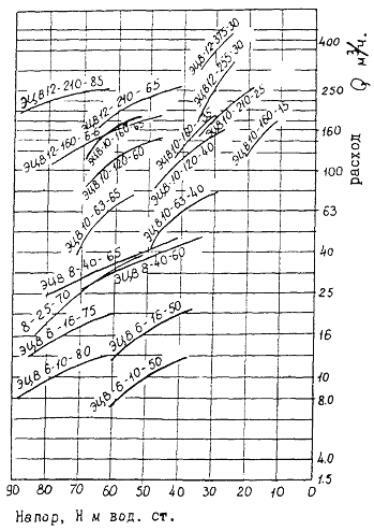 lx stands for the losses in fittings; determined from nomographic chart 2. Developed pumping head Нd of the pump selected at a discharge of Q = Qd should be not less than the required. Qobs = Qd and Ht = Нd. the values of the design parameters Qd and Hd should be lowered within admissible limits. U is additional cost of regulation. d) at it is necessary to leave two steps; etc. h т, b is the submersible pump efficiency. 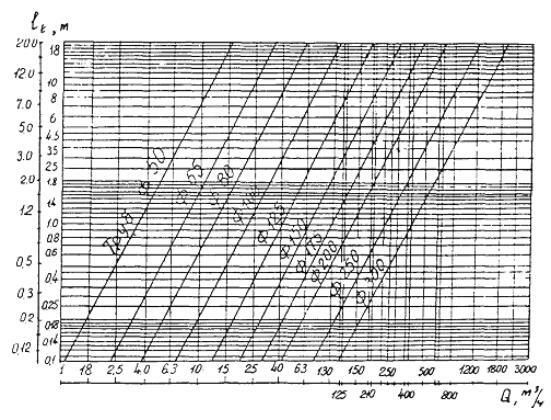 α, β and γ are conversion factors specified from the nomographic chart below. 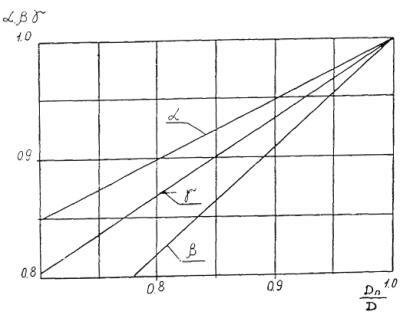 The head of multistep pumps lowers in proportion to the number of the removal of pump steps. The pump efficiency remains almost constant. The best regime of the equipment can be achieved if the head-capacity curve, after the removal of a step, passes through a targeted point; otherwise, it would be required to lower excessive head by regulation. The combined regulation method includes removal of a step with simultaneous trimming of the impeller and replacement of a submersible electric motor by one of less rated capacity. Source: Industry-specific construction standards VSN 33-2.2.03-86: Reclamation systems and facilities.